Mr. Mehta was the project manager for the team that worked on two World Bank projects. The team prepared two separate sustainable tourism development plans for the northern island archipelago of Nosy Be and the southern region of Toalagnaro. Nosy Be is an existing ‘sun and sand’ tourism destination and includes a few protected areas while Toalagnaro is still developing and includes the important protected area of Andohahela. 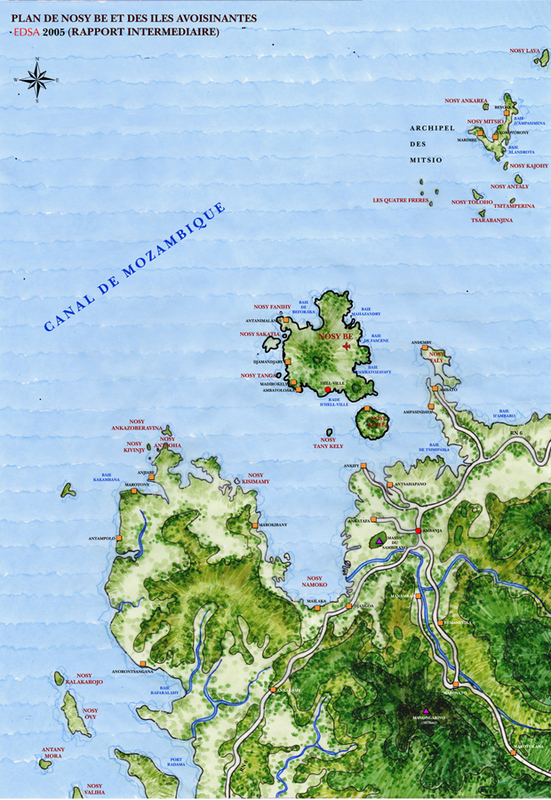 This region has the highest biodiversity in Madagascar including several species of Lemurs. EDSA were the team leaders of an international group of consultants which produced in conjunction with local stakeholders including fisherman and handy craftswomen overall sustainable tourism master plans which includes beach hotels, business hotels, bed and breakfasts, community products, museums, ecolodges, interpretation centers, mountain and forest trails. The EDSA team is also developed a Zoning and Phasing Plan.